After successfully renovating an area with lead paint and conducting a proper cleanup, one of the final steps is to dispose of the waste. There are a few steps to properly ensure that the waste is carefully disposed of. Always collect, bag and seal all waste at the work site and in the work area. All waste should be sealed in a plastic bag with a “gooseneck seal” and then duct taped. With a HEPA vacuum, vacuum the exterior of the waste bag, or wipe it down before removing it from the work area. Do not carry the waste bag to another location without properly sealing it first. 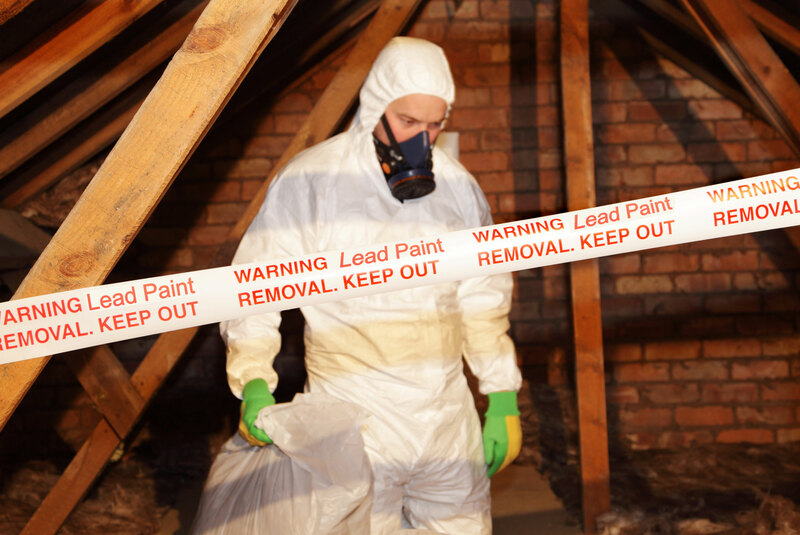 What is Considered Lead Paint Waste? According to Federal Law, when renovating in Housing or Residential areas, waste must be disposed as normal household waste. In non-residential child-occupied facilities, if waste exceeds 220 lbs. of actual lead, you must treat it as hazardous waste. A T-clip test must be conducted to determine whether or not you have 220 lbs. of lead paint. Anyone who works on pre-1978 homes or child-occupied facilities must be certified as a Lead Paint Renovator. This includes Contractors, property managers, janitors, handymen, landlords, etc…Anyone who is doing work on a pre-1978 target building for compensation must have their lead paint certification. Compensation can be a direct payment, rent, or any other form of currency exchange. The Builders License Training Institute offers both a Lead Paint Safety Initial certification class and a Lead Paint Renewal course. To check out when classes are available click here. Already Have a Lead Paint Renovator Certification? For contractors and individuals, currently certified as a Lead Paint Renovator, we now offer the 4-hour (RRP) refresher course online! Now you are able to take their refresher course online at their own convenience without the hassle of driving for a half day class! The Lead Paint certificate for the 4-hour RRP online refresher course is good for 3 years.